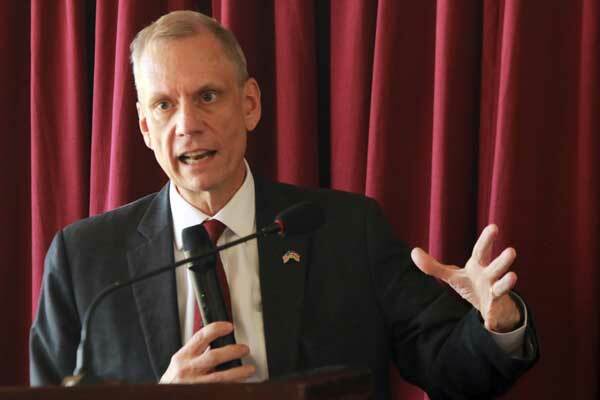 The US government has denied claims that they had prior knowledge of the 14 Riverside Drive attack that lasted at least 18 hours. Social media reports indicated that the US government had its nationals move from the Dusit D2 Hotel a day before the attack. “Contrary to some false reports on social media, the United States had no advance notice of the attack, nor did we ever advise American citizens or our staff to avoid the DusitD2 prior to the incident. We reiterate our deepest condolences to the families and friends of all those who were killed in this craven attack and wish a quick recovery to those who were injured. We stand shoulder to shoulder with Kenya,” he said in a statement. The spread of this kind of information, he noted, only acted as an impediment to the fight against terrorism. The Kenya Red Cross has clarified that all missing persons have been accounted for as police continue to mop up the scene of crime. 21 people were reported dead and all the attackers killed in the security operation that kicked off a few minutes past 3 pm, Tuesday.